Choosing a landscaper can be a time consuming process, especially if you are in Shepparton. There are a number of talented and experienced landscapers in the local area and we want to help you choose the right one for you! Most people have a set budget in mind, as well as a specific vision they want to achieve. Asking your landscaper the following questions will help you determine who can best get your landscaping project done for a great price and to a high standard. Most landscapers will be happy to provide a free quote. If they don’t, it can be a worrying sign. Offering a free quote is a great way to attract new clients as it shows genuine interest in potential jobs. If a landscaper isn’t prepared to come to your home or business and quote on a job, it might be a good idea to look elsewhere. Choosing a landscaping company in Shepparton that offers more than one service could potentially save you time and money. 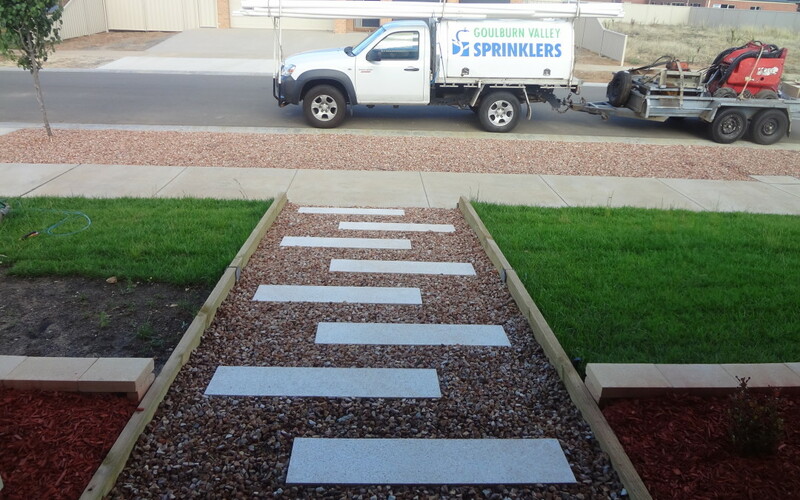 For example, Goulburn Valley Sprinklers & Landscaping offers a complete irrigation and landscaping service. We design, install and maintain irrigation systems, as well as offering a professional turf service and landscaping. This means our clients, whether residential or commercial, save time and money by booking all their services with the one provider. If you don’t feel comfortable asking this question directly, do some research online. Have a look at the social media profiles of local Shepparton landscaping companies and see if there are any comments or testimonials from previous customers. Don’t be put off by one (or even two) negative comments as this happens to all businesses; just get a general feel for their reputation. Hipages is also a great resource for hiring a landscaper in Shepparton. Read to book a landscaping company with over 15 years of experience? Call Goulburn Valley Sprinklers & Landscaping today!